Both current UMD students and prospective UMD students are eligible. Follow each link to learn more about requirements and timing for each case.Applicants should be or intend to be University of Maryland, College Park Ph.D. graduate students in a computational, mathematical, physical, or life sciences program. If accepted as COMBINE fellows, students would join after having completed at least one year of graduate study. Applicants may seek a one-time 12-month NSF stipend ($34,000 plus tuition and health insurance), usually administered during their first year as a fellow. 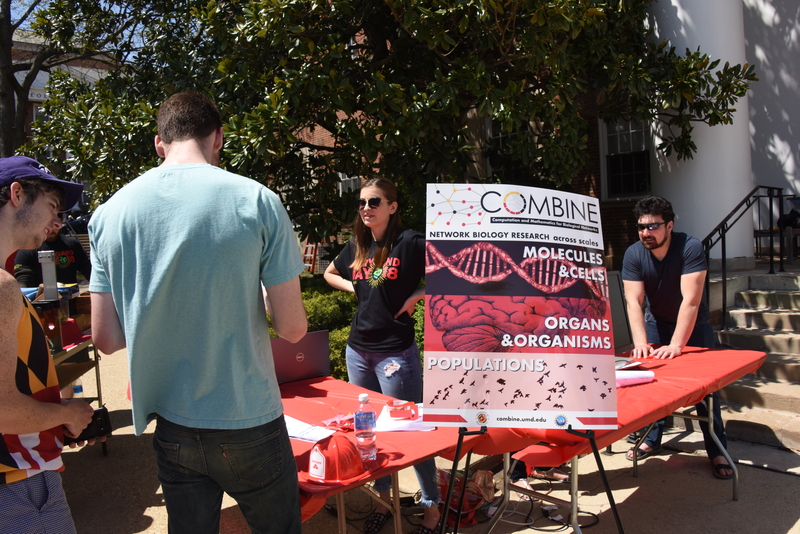 COMBINE offers approximately six of these NSF stipends per calendar year.To be eligible for an NSF stipend, an applicant must have at least 2 years remaining until they complete their Ph.D. and be a U.S. citizen or permanent resident. All individuals accepted into the program will be designated “COMBINE fellows” whether or not they receive NSF stipend support. We encourage students to apply to be COMBINE fellows even if they are not eligible to receive an NSF stipend, as they will receive all other program benefits. We expect that network biology will be an important component in at least one chapter of a COMBINE fellow’s dissertation. For many, network biology will be the primary focus of their dissertation. For others, it will serve to enhance related investigations.After joining the program, we expect that students will remain as COMBINE fellows until graduation regardless of stipend status. Fellows agree to complete all required curriculum components.